Estihdaaf looks to build on a promising first appearance on dirt as he steps up to G3 level for the UAE 2,000 Guineas on week six of the Dubai World Cup Carnival at Meydan, UAE, on Thursday, 7 February. The three-year-old colt, trained by Saeed bin Suroor and ridden by Christophe Soumillon, drops down in distance after running on to get within a half-length of the winner Manguzi, the pair clear, in the Al Bastakiya Trial over an extended nine furlongs at the same course on Thursday, January 24. 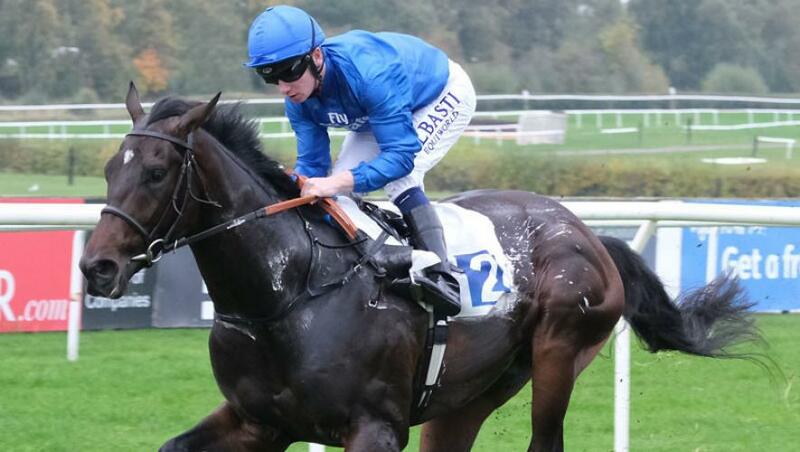 Estihdaaf made four appearances before then over seven furlongs on turf, headed by a comfortable victory in a maiden at Leicester, UK, in October. Saeed bin Suroor said: “Estihdaaf finished strongly in the Al Bastakiya Trial and looks to have improved for that run. “I would like to see him race handy in the UAE 2,000 Guineas. Drawn one, Estihdaaf meets seven rivals in the Classic, including unbeaten Walking Thunder. Elsewhere on Thursday’s card, Red Galileo (Saeed bin Suroor/Christophe Soumillon) makes a third consecutive appearance in the two-mile turf handicap, with the eight-year-old having finished third in both 2017 and 2018. The top-weight is joined by Dubhe (Charlie Appleby/William Buick), who races over two miles for the first time and has bottom weight after coming home sixth to Spotify over half a mile shorter on week four of the Carnival. Both Red Galileo and Dubhe are sons of Dubawi. Saeed bin Suroor relies on Desert Fire (Christophe Soumillon), another four-year-old Cape Cross colt, who steps up a furlong after leading home a Godolphin 1-2-3-4-5 in a mile handicap at Meydan on Thursday, 17 January. Five-year-old Top Score (Saeed bin Suroor/Christophe Soumillon, drawn eight) drops down in class and trip for the six-furlong turf handicap, in which he has top weight, having posted two good efforts over seven furlongs during this year’s Dubai World Cup Carnival, including when finishing fifth in the G2 Al Fahidi Fort on week four. He is drawn eight of the 12 runners. G2 Cape Verdi fourth Victory Wave (Saeed bin Suroor/Pat Cosgrave, drawn eight) returns to handicap company for the seven-furlong turf handicap – a race also contested by Mubtasim (Charlie Appleby/William Buick, drawn 14) and Race Day (Saeed bin Suroor/Christophe Soumillon, drawn six), the son of Dubawi who finished a neck second to Desert Fire on Thursday, 17 January.